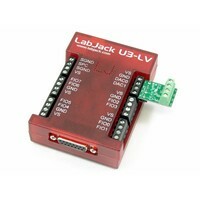 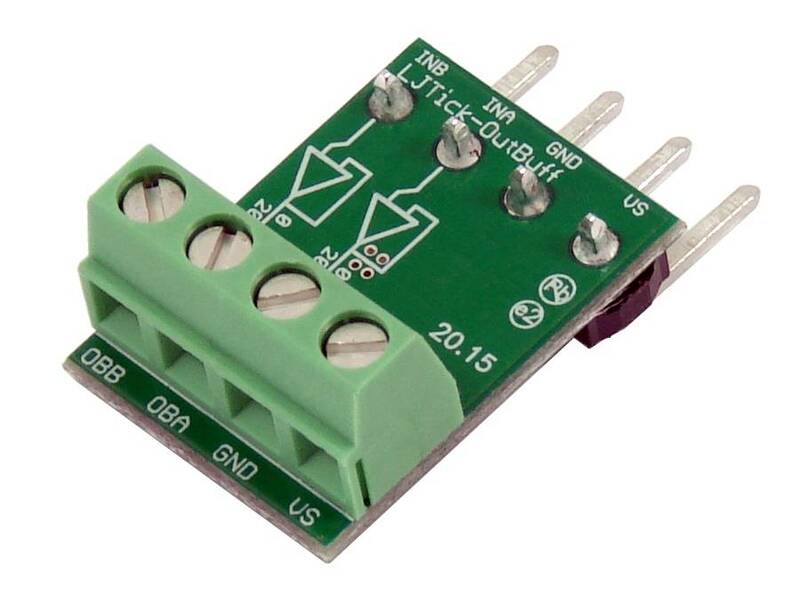 Increases the output current of the DAC outputs on Labjack devices. Can also be used for switched 3.3V When attached to a 3.3V digital I / O line. 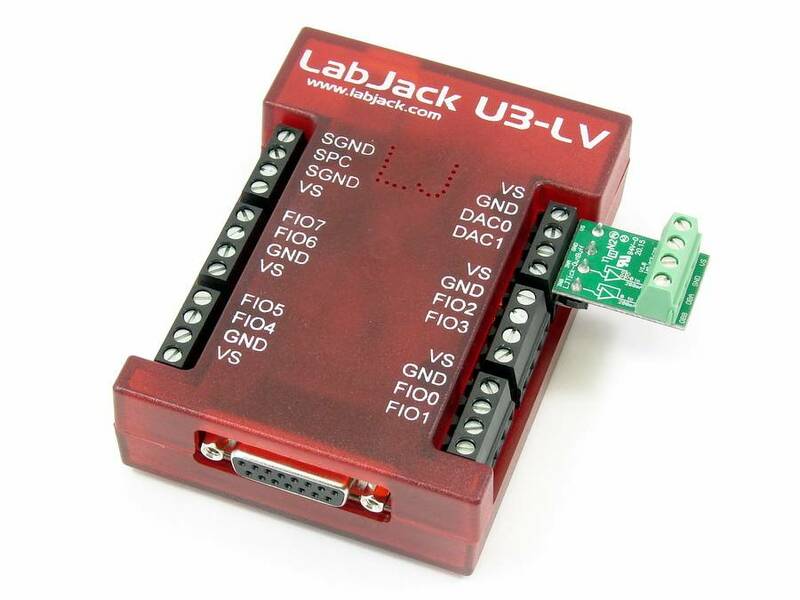 Labjack devices can not output more than about 15mA On Their DAC0 DAC1 and analog outputs, so this accessory is very helpful for users who want to increasement That capability. 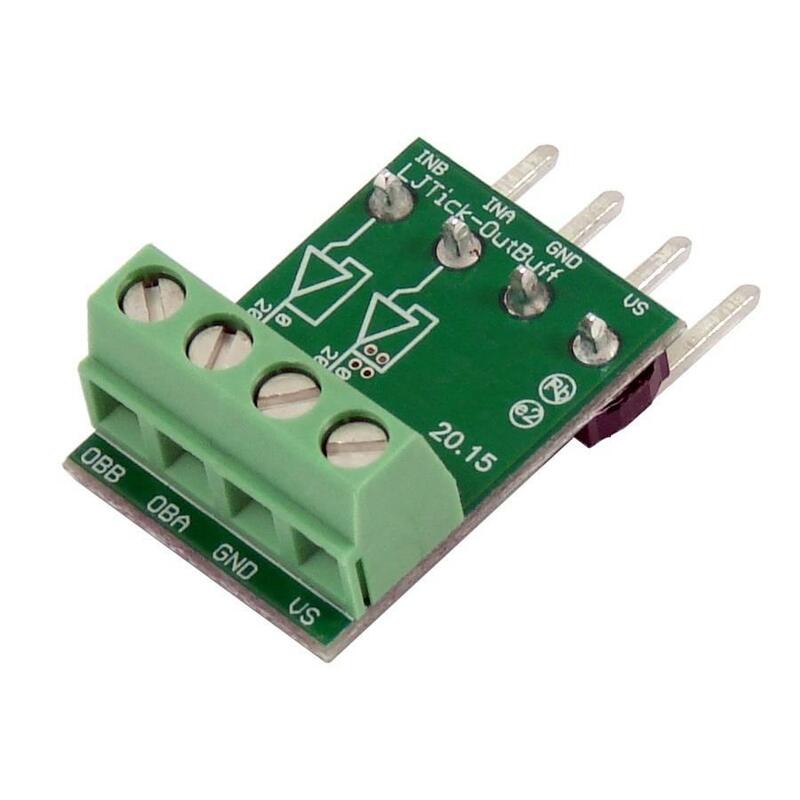 One common application is to control the speed of a low voltage DC motor. * Max is tied to USB supply voltage, 5V-which is nominally.